FUSE is our newest addition to our children’s area for children in 4th and 5th grades. All children must be checked in and out of the area with our secure check in system. There is a check in kiosk located immediately outside of the FUSE entrance for your convenience. FUSE is located at the north end of the atrium, immediately across from the Café. Children will only be released to the adult(s) listed in the check in system. To ensure your child is safe, all GNG volunteers in FUSE must complete a risk management training and submit to a background check. 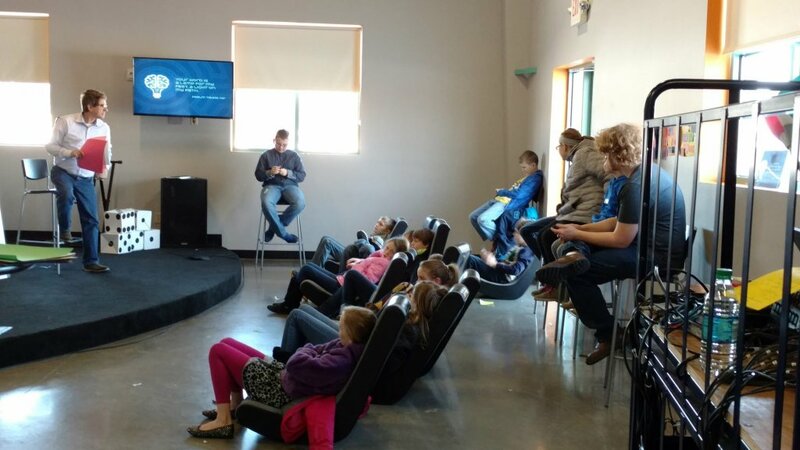 FUSE provides Bible-based teaching in a creative, high energy and interactive setting. Students will participate in topic-focused games and activities, worship experiences, and age-appropriate Bible teaching.